A big shout out to White Plains’ Eastview Middle School Principal Joseph Cloherty who boldy went where no-one has gone before. Right on day one of the school year 2016-17 he had his incoming 6th graders sort their waste for the first time using the We Future Cycle Lunchroom Recycling Program. 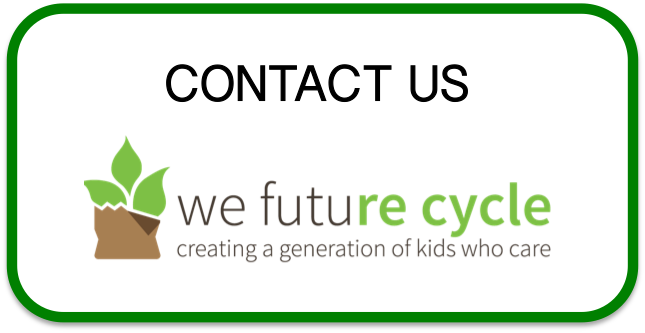 Principal Cloherty knew that consistency and continuity are important lessons to learn, as 3/5th of his incoming student body was coming from White Plains elementary schools which already run the We Future Cycle program: Ridgeway, Church St and Post Rd. Eastview Middle School is for 6th graders alone, and it is under construction right now with wonderful upgrades in the making, but not quite finished yet. So, adding to the challenges of being in a new building and learning the new recycling system on Day One of school, students were also dealing with an unfinished cafeteria that was serving packaged box lunches, instead of cooked meals. However, with the help of the custodial staff under head custodian Cristian Reyes and the Teaching Assistants under Ms. Julie, students were guided through the process by the experienced We Future Cycle staff. Students and staff learned quickly and after 6 days of sorting, we have proudly achieved a 91% reduction in waste because of students who do correct and independent sorting. A waste audit showed that Eastview students divert daily 91 % of their waste into composting and recycling. They also save 65 lbs of untouched foods from going into the garbage every day. Sixy-five pounds of untouched food translates into 4 crates of milk cartons, fruit cups, carrot sticks, yogurt cups, wrapped sandwiches, and cheese sticks. This food is now recovered and donated, thanks to the wonderful food service crew under leadership of Manager Laura Ackerly. Eastview Middle School is doing a phenomenal job and next year its graduates will be moving the program up the line into Highland Middle school for 7th and 8th grade. Growing the program through the grades is how it becomes second nature to all ages, bringing change not only to the students and the school, but also to the communities that these students call home.